BASIL PESTO recipe and history - all that you need to know! Some recipes really belong to a region so much that become a symbol to defend by all means. 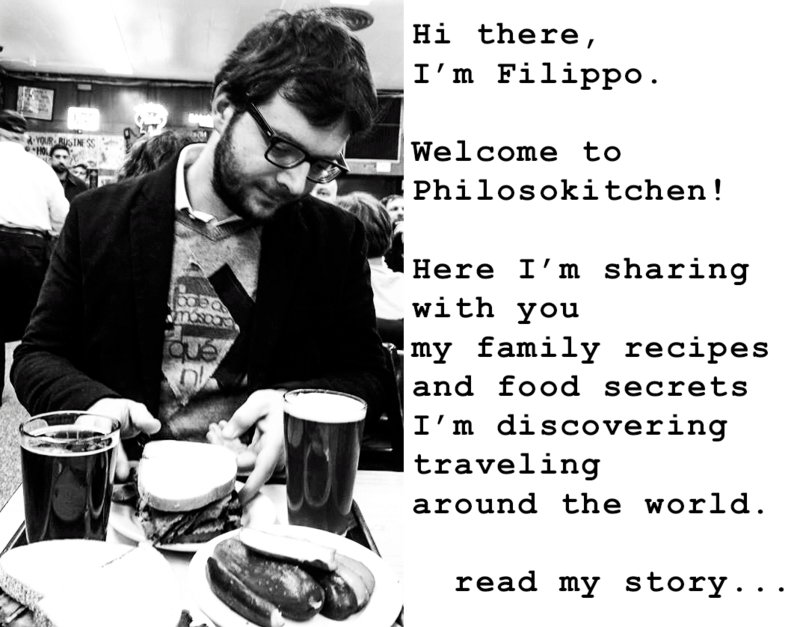 For instance, this happens In Bologna for Ragù Bolognese, In Naples for Pizza, and in Rome for Cacio e Pepe. These are only a few examples, but there are many others. 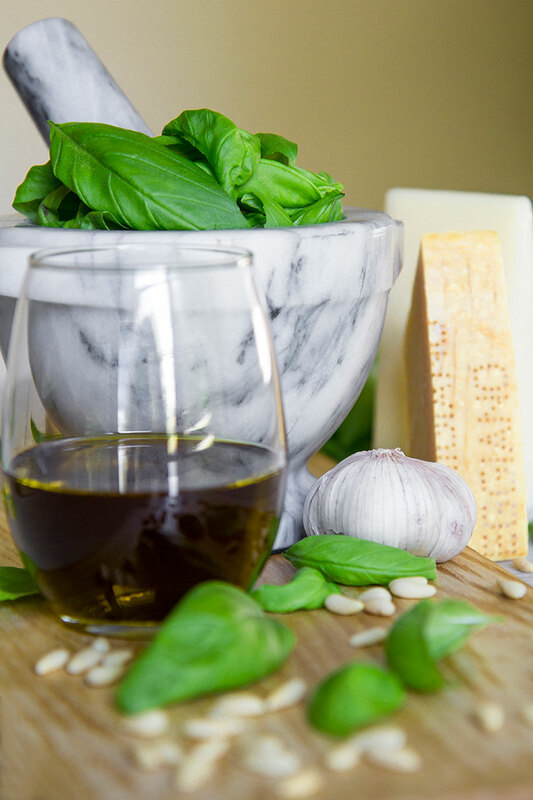 In Liguria, the “sacred” recipe is Basil Pesto, even more, when it has become famous in all the world. 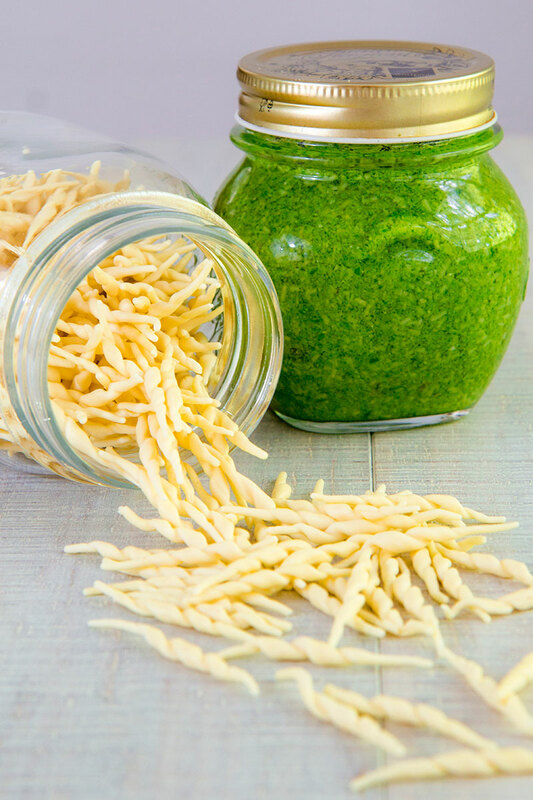 Basil Pesto, named in Liguria just Pesto, has a delicious and particular taste, despite his simplicity. But no jokes with this tasty sauce, Ligurian people won’t take it easy! Ligurian people are so proud of their Basil Pesto. Since 2007, they have been organized an International world championship to establish the best Pesto of the year! In 2015, European Union started the process to declare Pesto “Intangible Cultural Heritage of Humanity”. The recipe is so imitated that the Chambers of Commerce of Genova has published the official recipe composed of 7 ingredients: Ligurian basil leaves, cloves of garlic, Mediterranean pine nuts, Ligurian extra virgin olive oil, Parmigiano Reggiano Stravecchio, Pecorino Fiore Sardo, and coarse salt. Despite the strictness of the Ligurian palates, the current recipe of Pesto has changed several times over the years. It appears to originate from the Roman spreadable cheese Moretum, a mixture of fresh cheese, herbs, salt, olive oil, and vinegar, crushed together in a mortar until consistent. Another recipe who inspired Pesto is the Medieval Agliata, a Ligurian mixture of garlic, cinnamon, ginger, bread and chicken stock. The first chef who published the recipe of Basil Pesto is Giovanni Battista Ratto in “La Vera Cuciniera Genovese” on 1863. This recipe has been slightly different confronting the contemporary recipe. Walnuts were a good substitution of pine nuts. Basil was the first choice, but marjoram or parsley were considered decent choices when basil was lacking. Instead of Pecorino, Ratto suggests Dutch cheese, very popular at that time in all Italian port cities. A final note for the butter added to create a cream along with garlic and pine nuts before adding Basil. 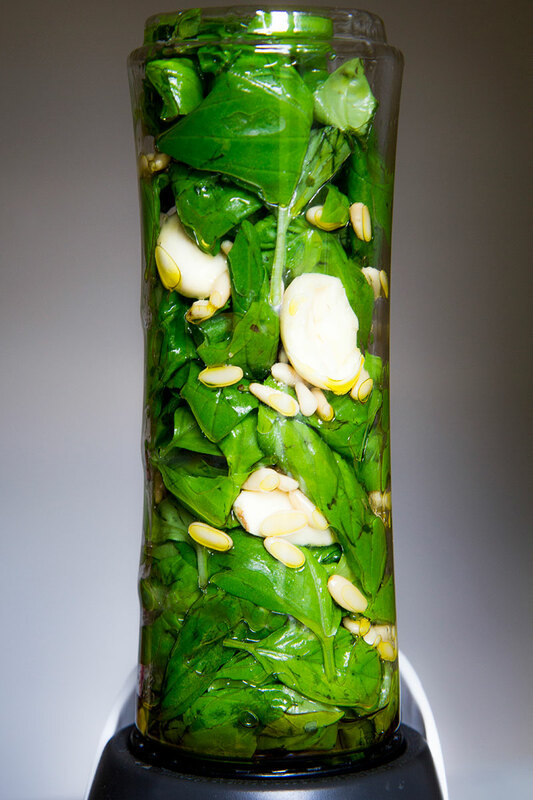 The nineteenth-century Basil Pesto recipe was very rich in garlic, more than at present. This is because of the Genoese sailors, following the Arab tradition, used to bring with them this tasty sauce during the months at sea confiding on its supposed healing proprieties. Thank this habit the Pesto recipe has reached the coasts of all the whole world! As you have gathered, Ligurian people are very restrictive about using pesto as an ingredient! The only shapes of pasta admitted in Liguria to toss with Basil Pesto are Linguine, Trofie, and Corzetti. A traditional variation is Pesto Avvantaggiato: green beans and potatoes cooked along with pasta, then tossed with Pesto sauce. Lasagna with Pesto is under discussion: someone accepts it, some other not! The only recipe with pesto that doesn’t involve pasta is the menestrun a zeneize, a tasty vegetable soup. 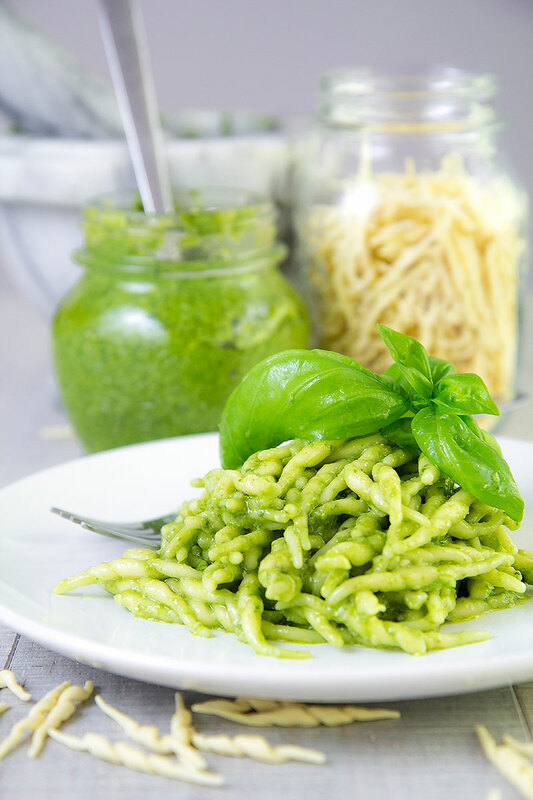 Besides these traditional recipe, in my personal opinion, Pesto is a very versatile sauce. It is great in any recipe that pair with herbs, garlic, and cheese! 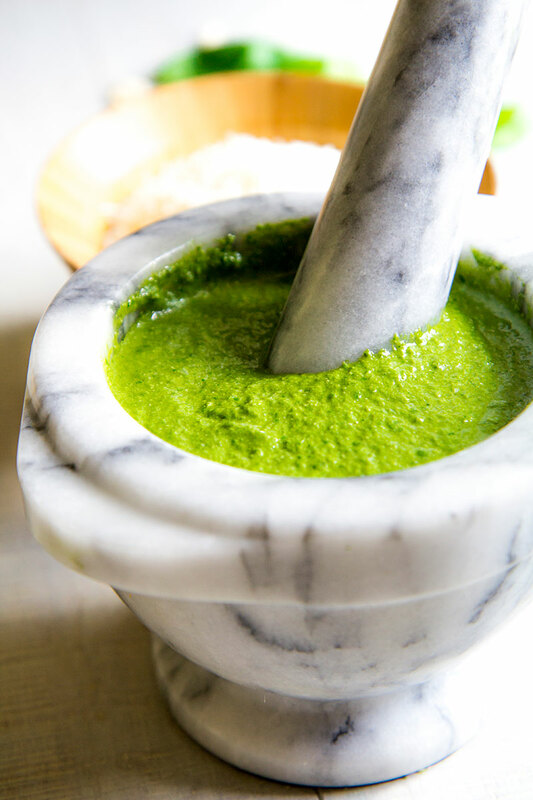 Mortar is a necessary tool to make a traditional Basil Pesto. Sometimes, however, there is not enough time to pestle the ingredient or maybe we do not own a mortar. Therefore, it is possible to use a blender, with some tricks. The greater enemy of pesto is the heat produced by the blender, so place the cup and store into the fridge 15 minutes before blending. 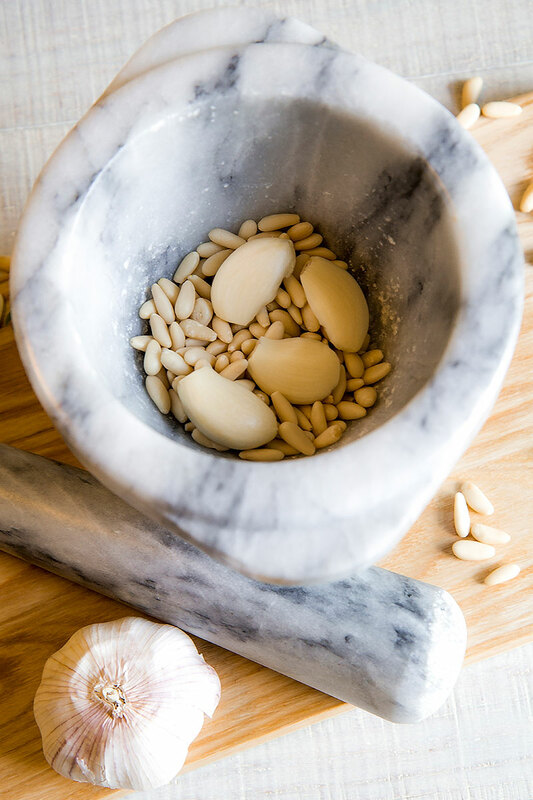 Then crush half of pine nuts with a glass or a kitchen hammer and pour the other half into the cup along with garlic, basil leaves olive oil and salt. Impulse the blender with short pulses to not heat up the mixture until Pesto is consistent. Finally, add crushed pine nuts and grated cheeses stirring with a wooden spoon. How to preserve the Basil Pesto all year long? The best choice is freezing into glass jars! Personally, I prepare the amount of pesto I decided to freeze without cheese and add Parmigiano and Pecorino at the moment. Just label the jars with the right amount of cheese to add. It is possible to prepare pesto up to 3 days in advance. Just add 1/4 inch of olive oil to preserve the color. At the moment to use the sauce, discard the oil. If some pesto remains into the jar, replace the oil shield. AND NOW THE TRADITIONAL PESTO RECIPE! Here the traditional recipe of Pesto published by the Chamber or Commerce of Genova! First of all choose the right quality of Basil: Sweet or Genovese. Commonly this herb is sold in Garden Department of all main groceries. 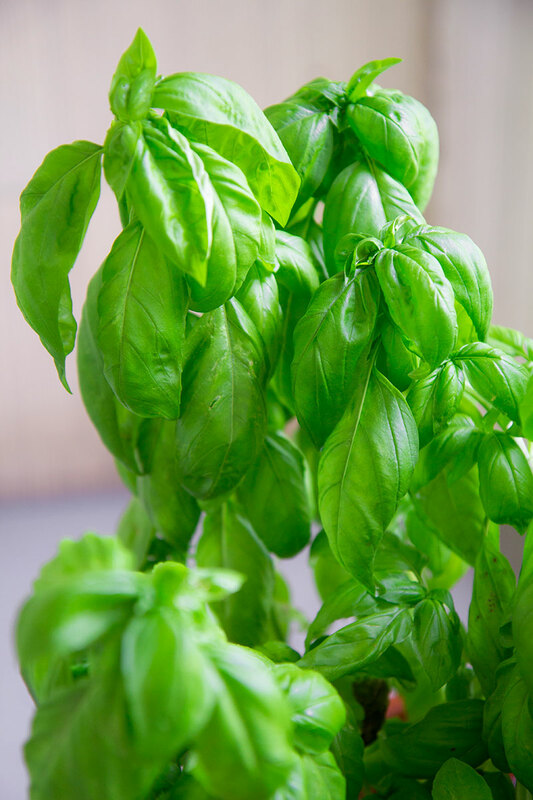 Own a few plants of sweet basil in your terrace is the first step to cooking a traditional Italian recipe! If it’s possible, choose medium size leaves, not longer about 2 inches. Finally, Rinse the leaves and dry them with paper towels. If you need to use a blender, follow the instruction described in the paragraph above “BLENDER OR MORTAR?”, otherwise, keep reading! Kudos for this thorough and well sourced article. -as for the pasta types, you failed to mention gnocchi, which is a perfect fit for pesto (also, my favorite dish). -more importantly: in my experience using basil grown in Liguria is essential to this recipe, in fact I couldn’t name any other recipe where the provenance of a specific ingredient may be as crucial. Since you suggest that Americans could prepare pesto on their own, with ingredients available on the US market… Did you find any worthy “substitute”? What is this sweet basil you’re referring to? Hi Alessandro, thanks for your suggestions! Gnocchi is a good option. Even if not really traditional, I like this idea: the gnocchi dough recalls the potatoes of the Pesto Avvantaggiato version. Sweet Basil is the best option quite easy to find in US closer to the Genovese basil.